Learning new techniques and meeting other designers is such a treat for me. Sometimes it nice to have a quiet niche, but it refreshes me when I can collaborate with other professionals and learn new things. 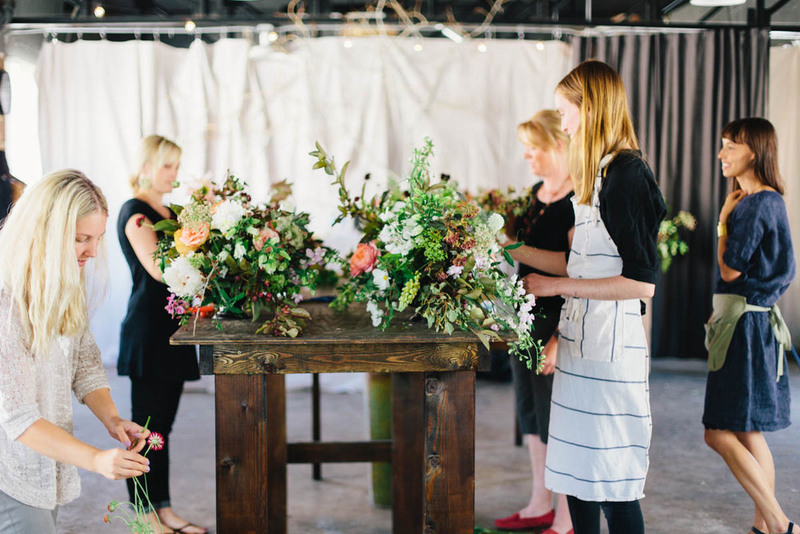 So, when I had a small lull in weddings this summer, and Sarah Winward of Honey of a Thousand Flowers hosted her first deign workshop- I was in. Salt Lake City is only a 4 hour drive from where I live. Add in other creative flower designers like Soil and Stem and fabulous photog Kate Osbourne and we have a recipe for beauty. Thanks ladies, for inspiring me to keep doing what I love.